Okay. This is the proposal, or the Call, if you prefer. Use the sounds of the Kylie video for the remix. Add other sounds or musics if you wish. minimum length 1:49 minutes – maximum length 2:53. I will release the remixes (one per person) on staaltape. If you need the digital file of this video, get in touch. It is easy to convert youtube->mp3. Share if you want to. These are the ten copies of Midori Hirano’s cassette release for staaltape, And I Am Here. It is the third edition. And this one is entirely made by Midori, the artist edition. I have no idea what you have to pay for it. As I can judge from the picture alone, this tape goes beyond any standard cassette release. Write to Midori and find out for yourself. The tapes shown in the picture will not become available at the staalplaat shop in Berlin. I am very glad Midori proposed to produce one edition by herself. It adds a new quality and character to staaltape. The deeply rooted connection with Berlin is ensured as well. If the possibility arises I will surely encourage other artists who appear on staaltape to make an artist edition. Said this, I can announce that work on my own fourth edition of Midori’s tape has started. The tape will arrive at the shop in Berlin by the end of July. Some titles from staaltape are still available. On 30. January Midori’s tape became available. The staalplaat shop received four orders within ten hours. Of the twelve copies Midori received only a few are left. I will start working on a new edition, probably with slightly different artwork. Pictures of that ongoing process will be published on staaltape’s twitter account, appear also in the sidebar at your right. 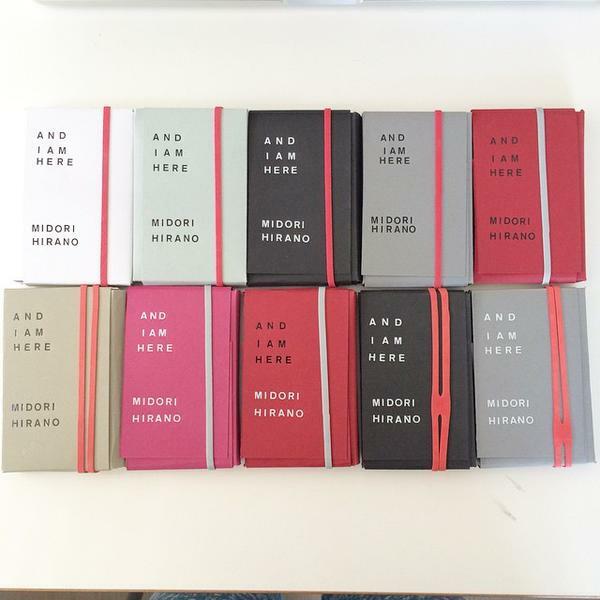 The new staaltape release, Midori Hirano – And I Am Here, will be available as from 30. January. The release will appear in a first edition of eighteen copies. Twelve of these will go to Midori. Four will go to the Staalplaat shop in Berlin and two will be send out for a review. More Information and pictures are published on a separate page.